According to Chinese press reports, the new launch window for China’s first experimental space lab has been set for September 27-30. Chinese journalists from across the country have filled all the hotels and guest houses in the vicinity and have observed heightened levels of activity at the launch site in Jiuquan. The official news website for the Tiangong 1 mission, however, has yet to start a countdown to launch, which was delayed pending the results of an investigation into a failed satellite launch in August. 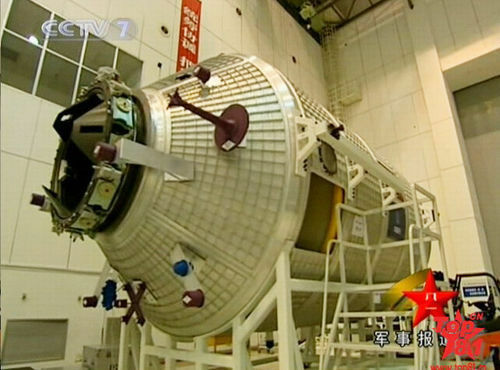 Tiangong 1 is the first in a planned set of three experimental space labs China will launch before beginning construction of a full-fledged space station. China’s space station plan dates back to the late 1980s. Current Chinese timetables for their space station, along with a consistent history of delays, suggest they will be completing their station in the early years of the next decade. Coincidentally, this is about the same time that the International Space Station is likely to be decommissioned.